* New skin 'Digital LED' replacing font skin. * Optional native pop up. * 'Next alarm' shows now alarms within the next 24 hours." For those of us who rely on and love Bloglines Mobile while on the go, here's another reason to dig it. Bloglines has now integrated Skweezer technology to optimize web pages for your personal handheld mobile device's viewing pleasure. * Click on the 'Hide Images' link at the bottom of the page and skweezed content will load even faster. * At the bottom of the skweezed page, you'll find links back to the feed you were reading and a link back to your feed list. * If you run across any pages that are not in your native tongue, Skweezer will translate to more than a dozen languages. So if you've been wary of venturing beyond your Bloglines Mobile on your fancy new Blackberry (or Treo or other smartphone), free yourself from those inhibitions and click away! Thu, 21 Sep 2006 21:21:21 PDT"
LapLogger GPS freeware for Palm phone and pda, PalmOS free downloads. Unicode-GLib for PalmOS. Unicode-GLib provides Unicode rendering and display capabilities for PalmOS applications. Supports proper display of languages like Arabic, Chinese, Hebrew, Korean, Tamil, Thai, and many more. Mobile01 來的消息: xplore 出 palm os 新機 - m70, 真是太有勇氣了, 不知道 m68 成績如何? 看來新機最大賣點在於 push mail, 照型號來看, 脫離傳統 xx8 編號方式, 或許是配合電信商的改良版機種吧! (*) For these cities, some temporary changes are included (because of works) and new versions may be released at any time. See our blog for updates. 06-09-13 (1.24) Hires support with HRLib. Dynamic input area support. V-1.9j adds check for corrupt Task entries due to bug in EasySync conduit for Lotus Notes. Also allows removal of deleted records which can hang up the Palm conduits or cause endless DmWrite errors when accessing a PIM database. 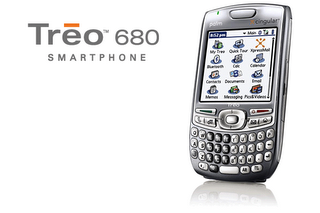 * Added support for Treo700p.